This concise book will help you to interpret the statistical evidence provided by quantitative studies and to plan how to work with data in your own clinical research. 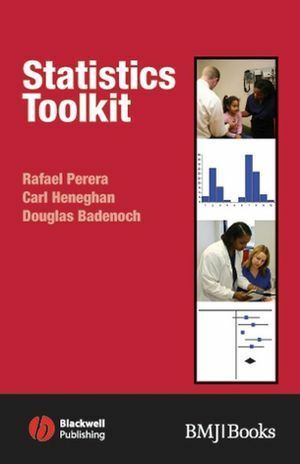 Following the successful format of the Toolkit series, Statistics Toolkit guides the reader through statistical concepts using flowcharts, diagrams and real life examples to reflect concepts in a simple and practical manner. The book offers a handy, quick reference that has an easy-to-follow structure throughout, making it ideal for health care professionals and students. Probability and confi dence intervals. Choosing which measure and test to use. Software for data management and statistical analysis.